After Hurricane Katrina destroyed everything their family had worked to build since 1940, Young’s Dry Cleaning teamed with CPR + Partners to completely redevelop the brand and design a cost-conscious set of tactics to incrementally increase their free pick-up and delivery business. In the three short years since launching the brand, Young’s free pick-up and delivery business has increased by an astounding 243%, in-store sales increased 11%, and overall sales are up 25%—all at a time when dry cleaning is losing customers nationally. 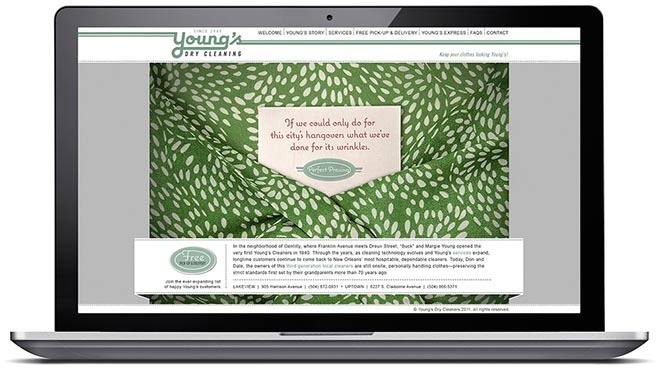 After a thorough planning process, the CPR design team developed a completely new brand identity forged around the idea that the brand had remained unchanged since 1940. 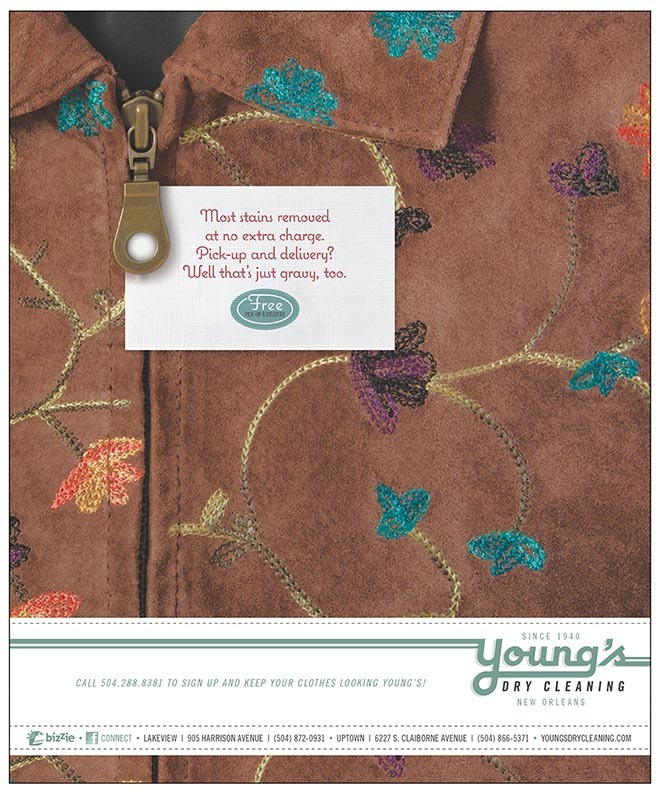 Of course, the new Young’s brand was actually conceived and established in 2011. 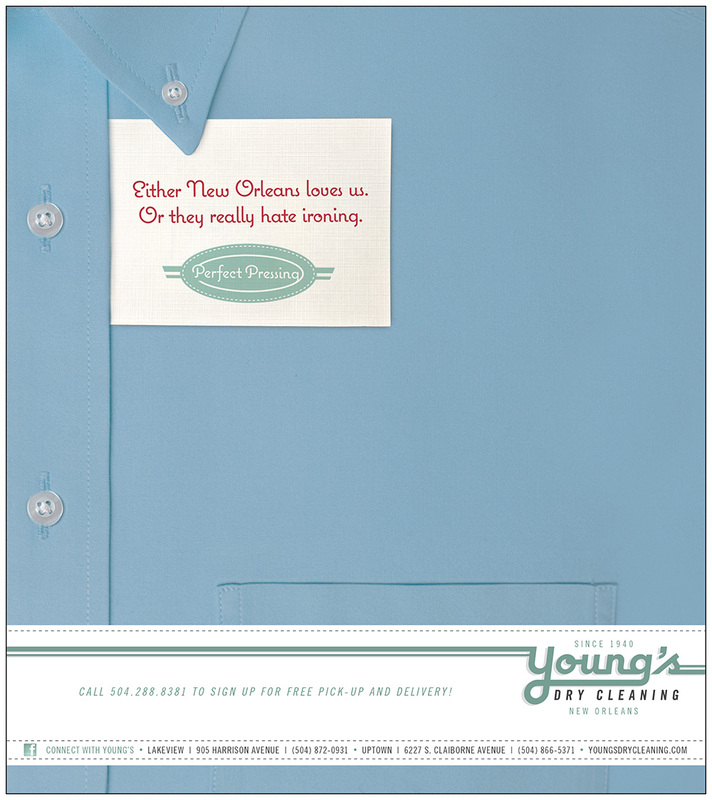 The tagline, Keep Your Clothes Looking Young’s!, was written in the same vein, to create a sense that Young’s had always been an established advertiser and member of the New Orleans community. 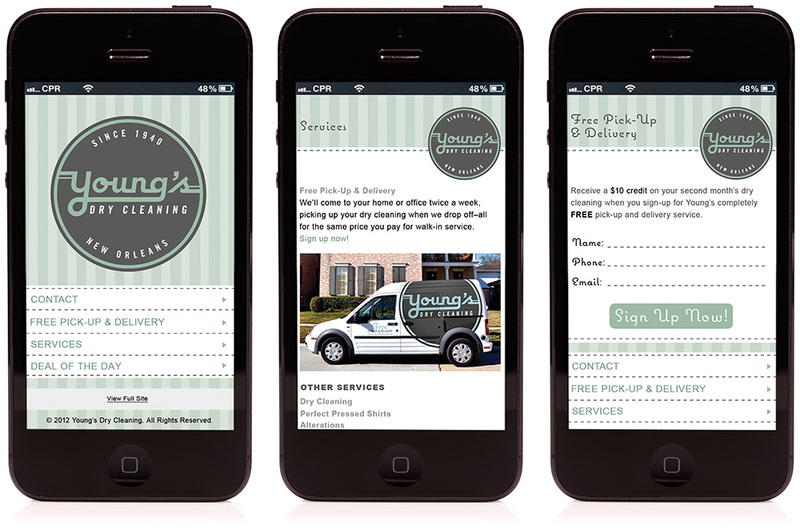 The branding campaign was expanded further to include a new branded website with enhanced functionality, print advertising campaign, store signage, company vehicle designs, social media campaign, and direct mail campaign among other web search and public relations tactics. 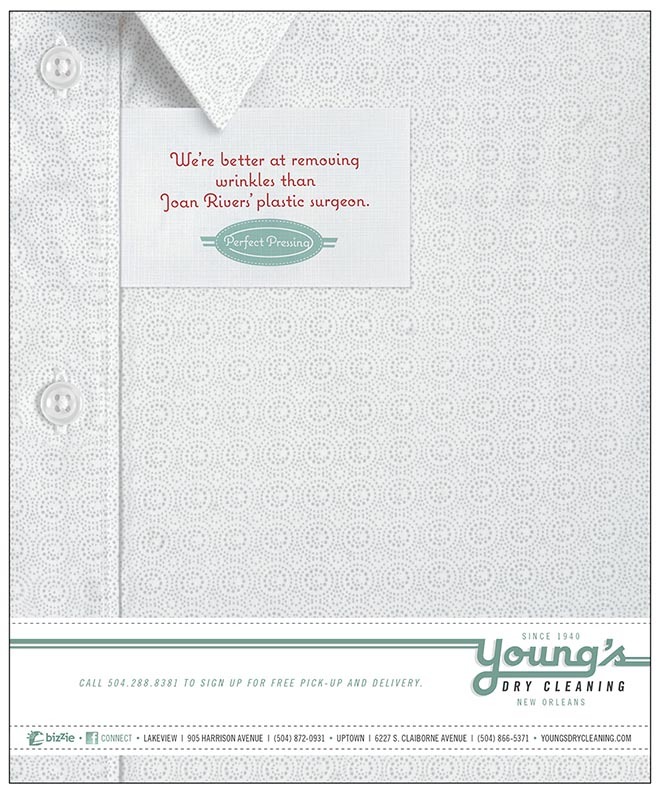 The branding campaign was later recognized nationally by earning CPR + Partners a 2012 Silver ADDY award for mixed-media campaign in a nationwide competition of U.S. advertising agencies. 2014 marketing efforts are set to extend the branding campaign with additional print ads and direct mail. 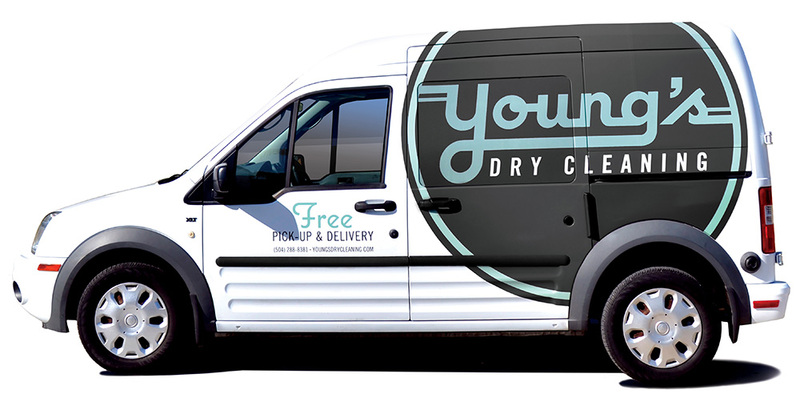 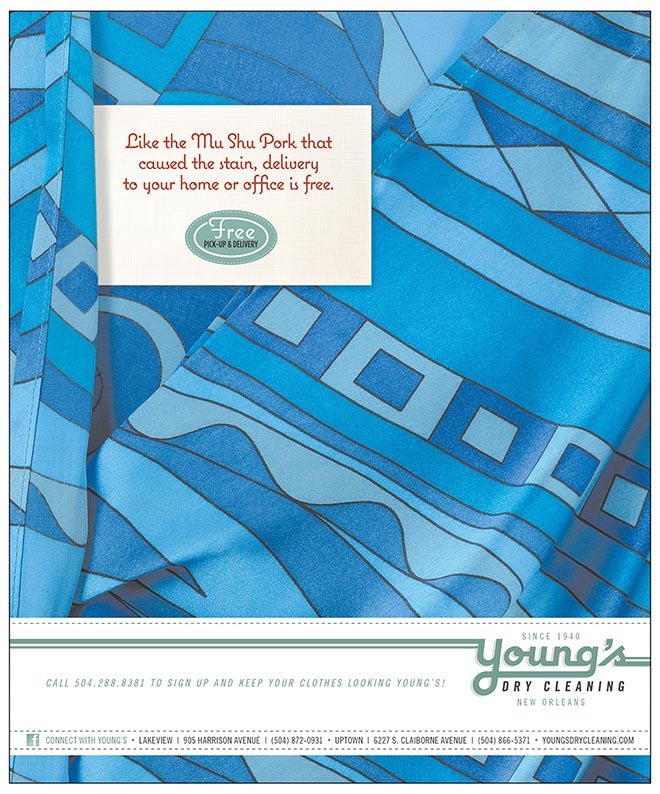 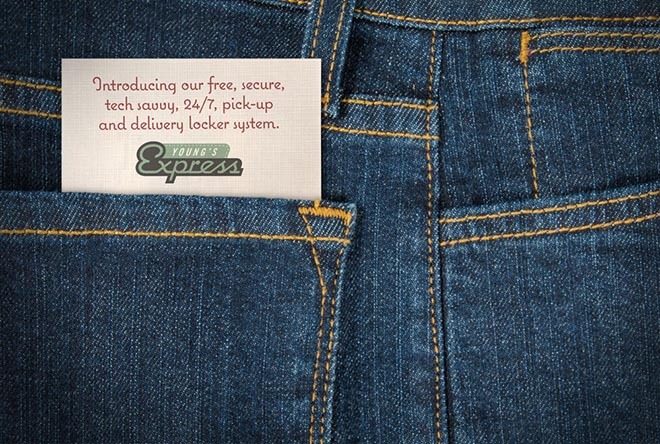 Each will continue to support Young’s professional dry cleaning services as well as introduce Young’s Express, an advanced locker delivery system that enables customers to use their smartphones to quickly and conveniently place and pick-up their orders at any metro location whenever it’s convenient for them. 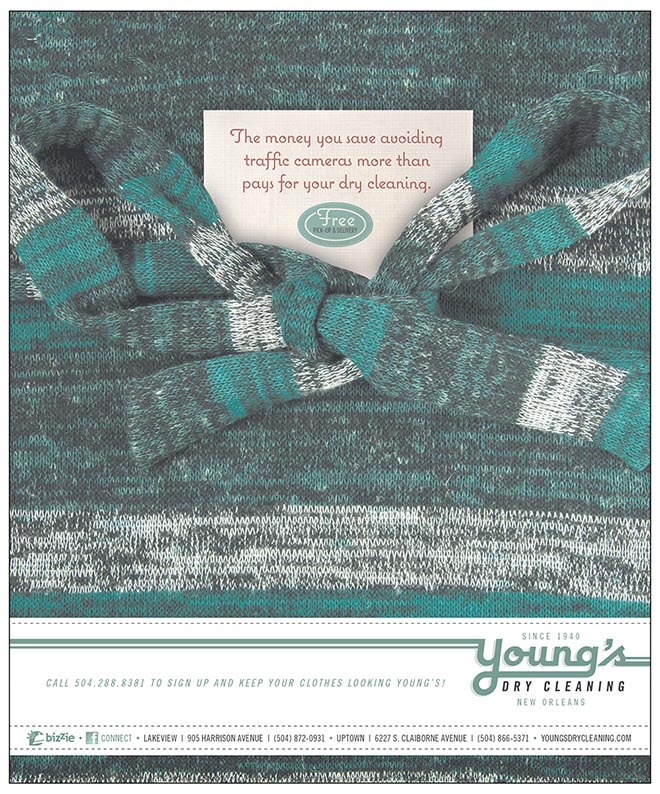 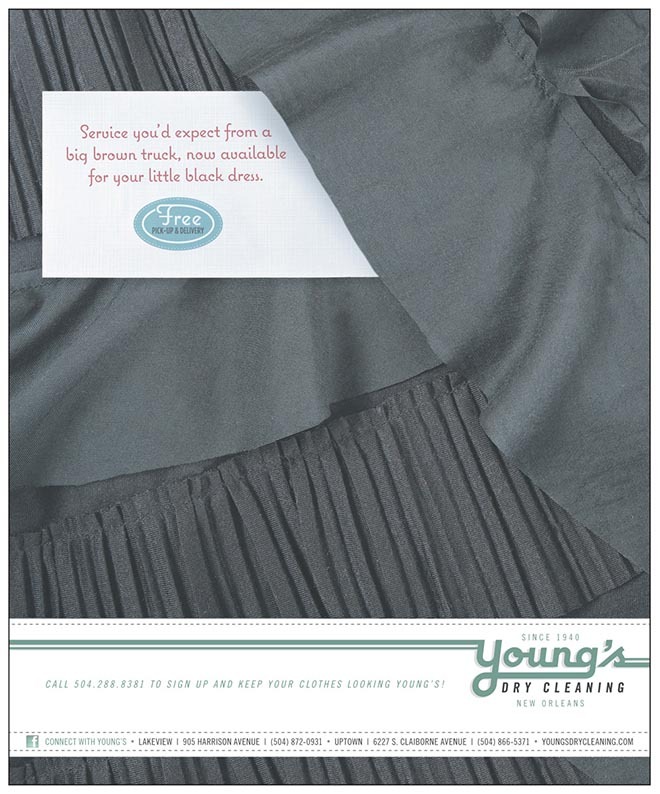 Young’s Express promises to be an entirely new, more convenient way to receive Young’s exceptional dry cleaning services. The Youngs Branding project was developed at CPR and Partners, New Orleans, by creative director/copywriter Justin Bonura, creative director/designer David Caruso, creative director/designer Rocky Russo, photographer Michael Terranova.